17118 Features: -Lined with 100pct cozy cotton flannel interior.-Not intended for outdoor use.-Conforms to U.S. flammability test requirements.-Great for sleepovers and living room camp-sites.-Keep kids warm, happy, and safe from boogie-monsters.-Naturally flame-resistant.-Bags are never treated with flame-retardant chemicals.-Machine washable: gentle cycle, cold water.-Recommended Ages 3+. 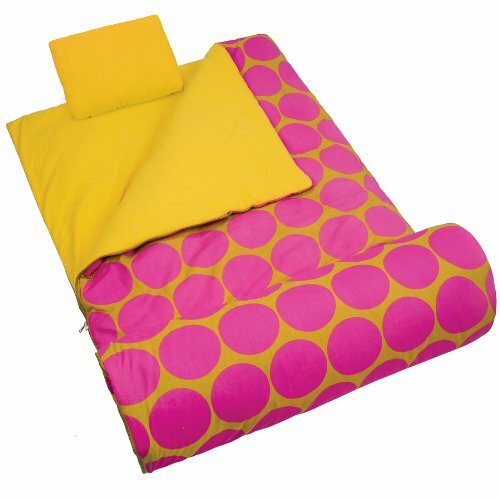 Includes: -Includes a matching travel pillow.-Includes storage bag and elastic storage straps. Construction: -Constructed of cotton / polyester. Dimensions: -Dimensions: 30'' W x 66'' D. Warranty: -1-year warranty.